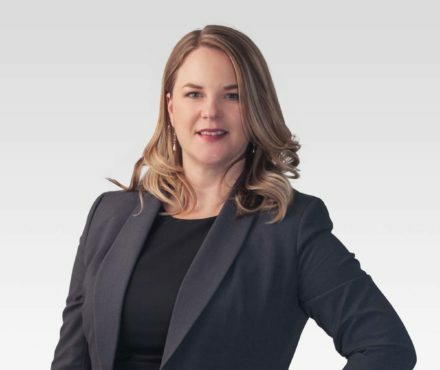 Jennifer Loeb joined the Lindsay Kenney Langley office in October 2017 after practicing for many years in a busy downtown Vancouver law firm. Jennifer has a varied legal practice with a wealth of knowledge and experience in employment law, insurance law, and general litigation. Jennifer has appeared at the Supreme Court, the Court of Appeal and before several tribunals. Represented employer in lawsuit brought by former director for wrongful dismissal following an investigation into allegations of sexual harassment made by employees of the company against the former director. Conducted investigation on behalf of post-secondary institution into allegations of sexual assault and breach of student code of ethics made by student against another student. Provided recommendations to healthcare client on privacy and record keeping issues. Successfully defended the First Nation’s Executive Director and members of Band Council against allegations of conspiracy and defamation brought by ex-Chief. Obtained dismissal of lawsuit and appeal brought by occupants of rental property against landlord alleging that the landlord’s failure to ensure that properly working smoke alarms were installed in their rental unit caused them personal injury following a fire that substantially destroyed the property. Negotiated successful resolution on behalf of pulp mill of several lawsuits brought by neighbouring businesses following a fire that destroyed the mill and caused additional fires by way of floating burning embers. Defence of personal injury claims arising from motor vehicle accidents including; orthopaedic injuries, traumatic brain injuries, and psychological disorders. Represented insurance company in bad faith lawsuit brought by insured for first party benefits following catastrophic motor vehicle accident. Represented defendant driver in lawsuit brought by plaintiff following a motor vehicle accident. Accident occurred when plaintiff attempted to turn left. Outside of the office Jennifer is working on her Spanish language skills and enjoys travelling to Mexico and hiking with family.